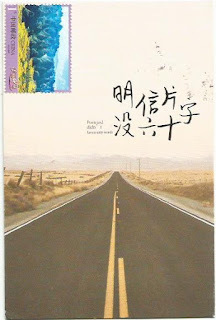 An artistic postcard showing a continental road with a sentence “postcard didn’t haven sixty words.” Thanks Yihan. An 1 Yuan scenic definitive pasted here but not cancelled. 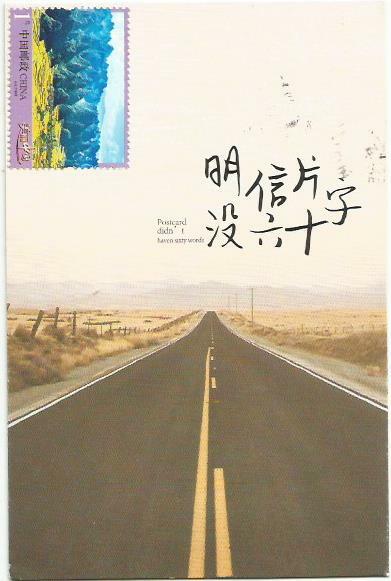 Two more 1 Yuan scenic, an 2 Yuan scenic, an 40 Fen scenic and an 10 Fen environmental definitive stamps were used. They were cancelled at Shaanxi Yangxian Sizhi 1 (陕西 洋县 四支1) on 25.2.2018.